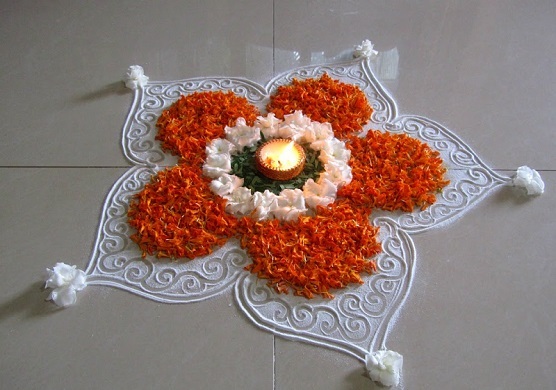 You can create a beautiful rangoli just from flowers and petals. For this you need to get rose petals, marigold flowers in yellow and orange colours add up to its beauty with the help of diyas. 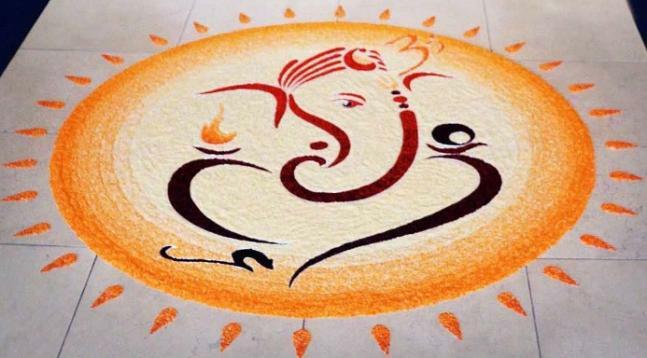 Ganesha design is one of the most popular designs of rangoli. You can create the outline with white color and then fill it with vibrant colors. 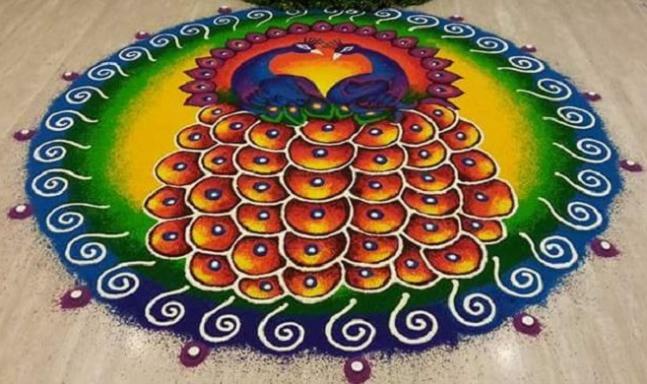 You can pick up yet another popular design for your rangoli this year, the peacock design. Its requires lot of patience to make such a design but it is surely worth it. 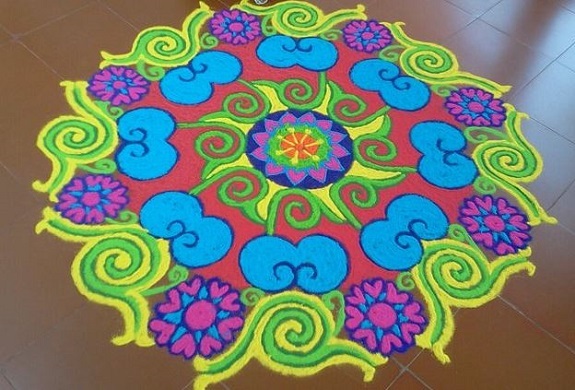 Alpana is the most auspicious kinds of rangoli which is made by the grinded paste of rice. What makes it unique is that it is made by the help of only three fingers. 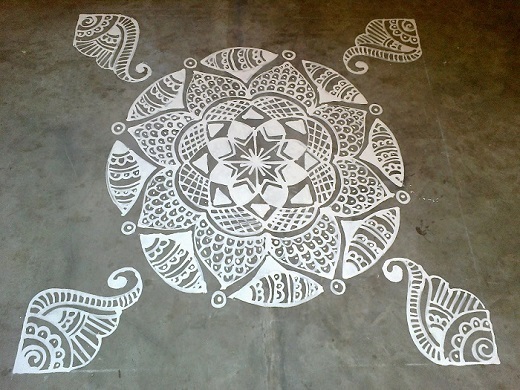 Rangoli with abstract patterns looks graceful this design can be made in a lot of ways.